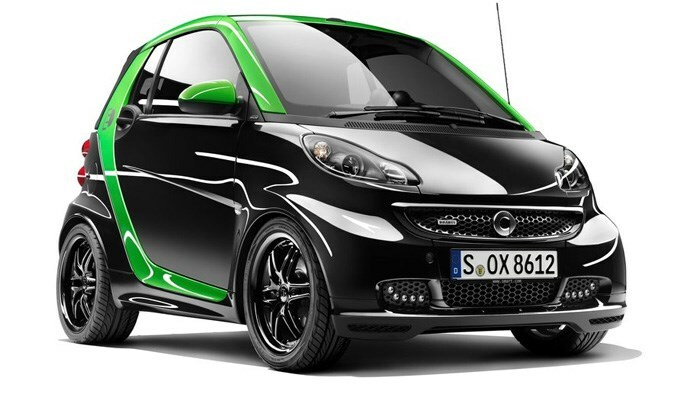 Mercedes tuning specialist Brabus has revealed its ‘sports car with a green heart’, the Brabus smart fortwo electric drive, ahead of its debut at the Geneva Motor Show this week. Sure it looks cool, but we can’t let Brabus get away with having the audacity to ever label a smart fortwo a ‘sports car’. And especially an all-electric one at that. The fact that power has increased to 60kW and 135Nm has made them think they can fill the accompanying press release with some hilarious gems like “it almost always wins when pulling away at the traffic lights”. Err... ok, sure. Maybe against other smart cars. Despite these wild claims, the Brabus fortwo does receive new sports suspension and bigger wheels for a sportier ride. However it also gets a fake engine sound generated by a sound module. So it won’t be the quickest car to debut at Geneva on Wednesday, but we’re tipping there’s a good chance it’ll be the most laughed at.